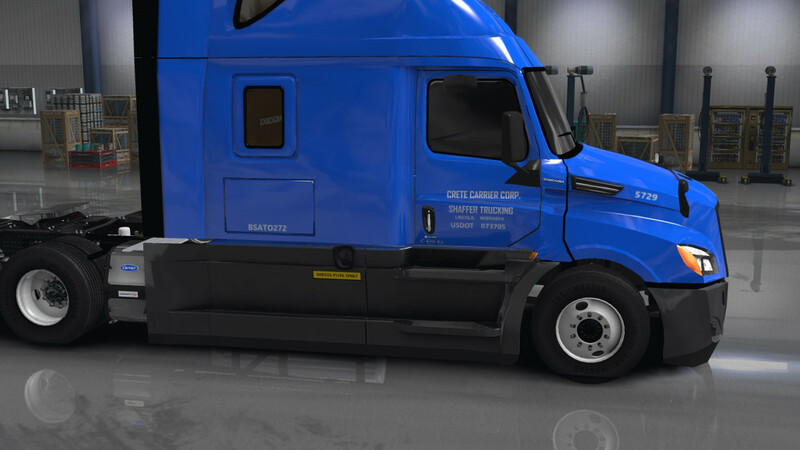 This is my latest skin mod for Shaffer Trucking. Used for the Cascadia 2018. Happy trucking! Why do people keep making skins for the Cascadia 3.93 2018 mod? The Damn thing DON’T work it’ll shut the game down with all it’s ERRORS!!!!! Sorry for your troubles. I have no issues with mine. What version of the truck are you using? 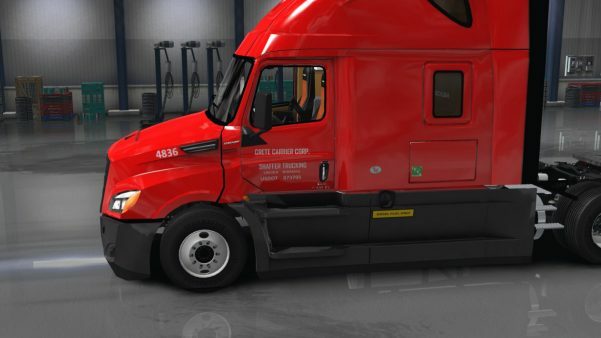 What version of ATS are you using? You may have other mods interfering. In that case it’s best to shut down all your mods and install one at a time. It’s a pain I know but you’ll find the culprit easily. That’s way in the mod world fellow driver sorry. Actually it’s for a newer version that is, unfortunately, private, or not free.